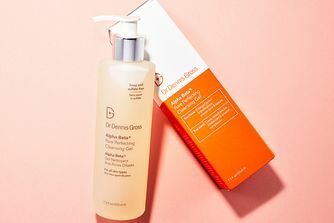 Powered by alpha hydroxy acids, this daily foaming cleanser gently exfoliates while imparting moisture, to leave your skin clean and refreshed – but not stripped. 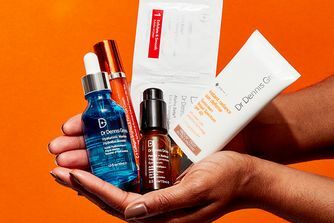 Going a glowing step further than your usual cleanser, the formula gently sloughs away dead, dulling cells to smooth and tighten skin, without disturbing its delicate balance. This smart exfoliation will help to smooth the appearance of pores, fine lines, wrinkles and rough patches of skin, leaving a refined and radiant result. Now available in two sizes, 225ml and a new 60ml travel-size. 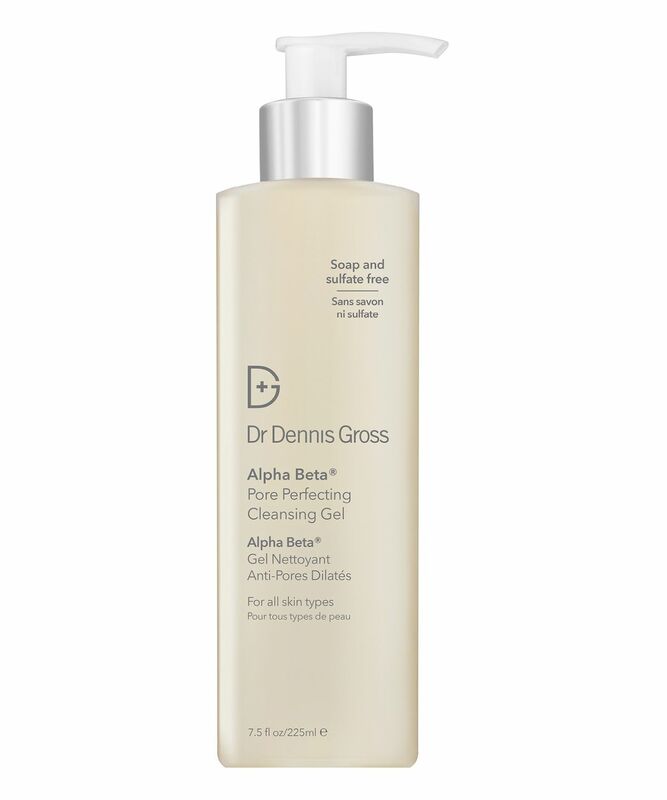 A seriously clever cleanser, Dr. Dennis Gross’ Alpha Beta Pore Perfecting Cleansing Gel gently removes excess oil, make up and surface impurities while also exfoliating away dulling, uneven cells to diminish dryness and smooth out the appearance of pores and fine lines. How does it reap such miraculous results, you might well ask? It’s all down to gently exfoliating ingredients and moisture-retaining additions. 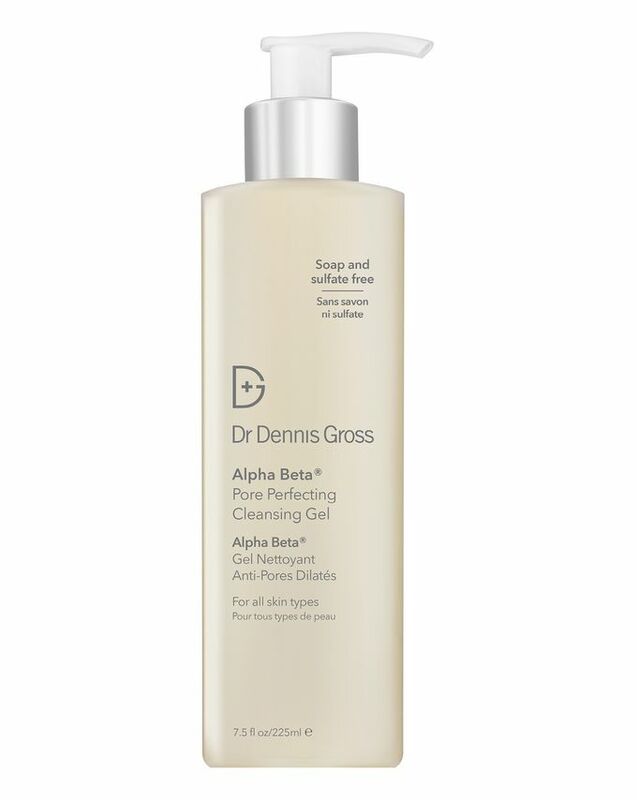 Dr. Dennis Gross’ signature Alpha Beta alpha hydroxy acids (including glycolic, mandelic and azelaic acids) gently slough away dead, dulling cells on the skin’s surface, uncovering fresh radiance while also minimising the appearance of pores. 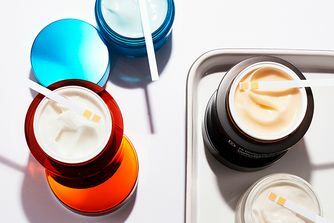 Soap and sulphate free, the vegan formula also features snow ear mushrooms, a (slightly oddly named) natural super hydrator. Willow bark, smoothing farnesol and barosma betullina (a flowering plant native to South Africa) work together to remove impurities, eliminate bacteria and decongest pores to further minimise their appearance. For optimal results, use AM and PM. With wet hands, massage into wet face. Rinse thoroughly. Simply the best cleanser, clear skin and foams, gentle and yet removes all eye makeup and foundation. I love it because it give me that "baby face" feeling. I use it in the morning and for my second cleanse in the evening. I have mature, sensitive skin and this is perfect. Skin is soft and bright, really impressed. I will repurchases it for sure. It’s a gentle foaming cleanser that removes light makeup. Although foaming it is definitely not stripping on my combination skin. Maybe the most gentle foaming cleanser I’ve ever used. It also doesn’t sting my eyes at all. It has a very light sort of fruity scent to it. I imagine that it would suit all skin types except for the very driest sensitive skin. Most suitable as a morning cleanser or as a second cleanse. It comes in a generous bottle and you only need very little product each time. The only issue I have with it is that it’s so big that it does not travel well. As with previous reviews, it is a light, gentle cleansing foam that smells divine. Love the effect on my skin. I like this cleanser because it makes my pores look smaller. My skin looks really bright and glowy. I want to try more of this range. So far I’m impressed.